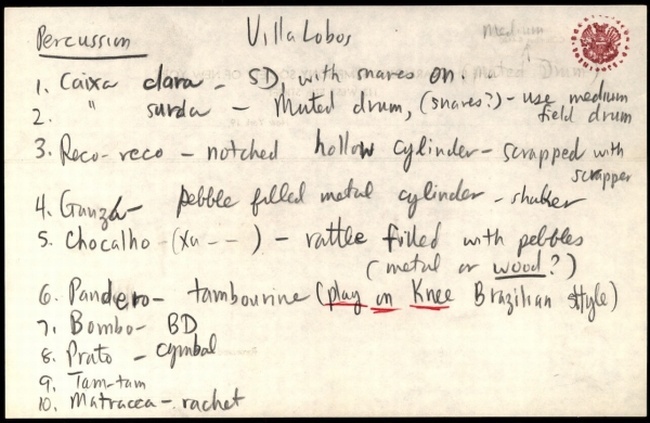 Leonard Bernstein's notes about Unusual Instruments in Villa-Lobos's music, from his Young People's Concerts episode The Latin American Spirit, broadcast on CBS Television. There's more about this at The Villa-Lobos Magazine. This is from The Library of Congress website.